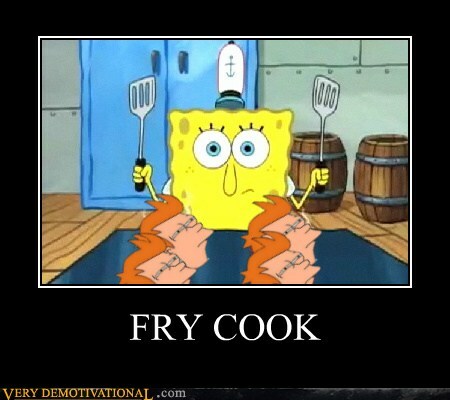 Why has nobody made a picture of Spongebob at his job as a fry cook flipping patties made out of the head of Fry from Futurama? Someone should get on that. Update: Well that was fast. mankillerx already whipped one up. Thanks!